One of the most amazing benefits of being a long term member of various professional women’s groups is that you get opportunities to meet with some very inspiring, beautiful and motivating women leaders. 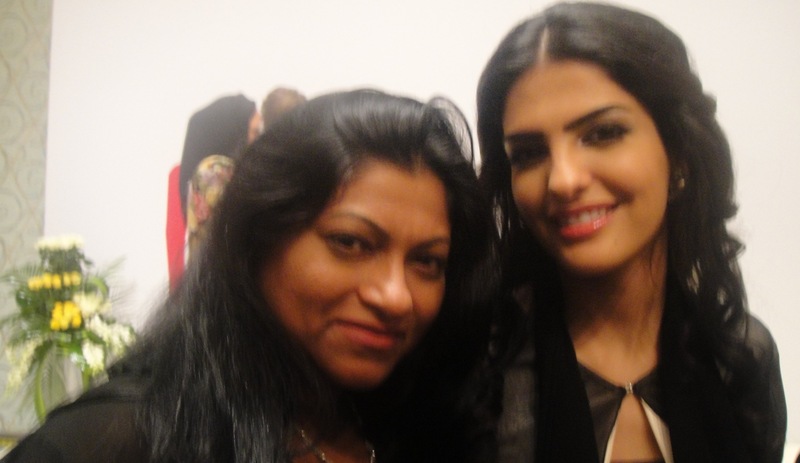 One such personality I met a few days ago was Her Highness Princess Ameerah Al-Taweel. I was blown away by her down to earth personality, by the fact that she spent so much personal time with every woman in the room to get to know what they did and what their aspirations were. What was equally impressive was her knowledge in Mass Communication and the tips she gave us that night on communications, PR and Social media- it was on par with a professional communications expert. I was thrilled to know that H.H Princess Ameerah had been to Fiji Islands….i don’t meet many people who have been to my country so we immediately felt at ease with other. She taught me one good lesson that night…to never depend on anyone except myself. I will treasure this thought as I always trust people close to me way too much and I’ve realised that’s not a good thing as people can sometimes be deceiving and detrimental to your success because they drive you to do things that only benefit them….this is a lesson I will recall every time I am in situation where I’m told something but know in my heart its not the real scene. 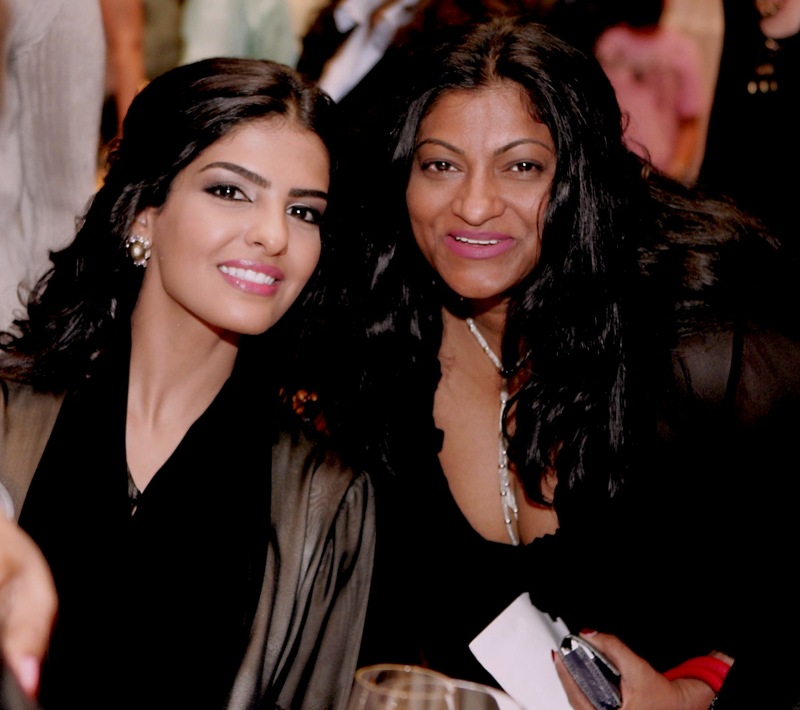 Princess Ameerah is Vice Chairwoman and Board of Trustees and Head of the Executive Committee of the Al Waleed bin Talal Foundation in Saudi Arabia and the Alwaleed bin Talal Foundation Global. She supports a wide range of humanitarian interests in Saudi Arabia and around the world and has won numerous awards including the CEO Middle East 100 Most Powerful Arab Women 2012. I went to the awards ceremony where Sheikha Lubna, another incredible Arab woman who has done this region proud spoke. Arab women are drop dead gorgeous, they have brains to match their beauty and given the opportunity, they shine among their peers….its great to see more and more Arab women making their mark in the global scenario as well. It was awesome to come up, close and personal with Her Highness Princess Ameerah thanks to the hard work of Sahar Madani who is the founder of WE Group – this is different group from the International Business Women’s Group of which I have been a member of since 2003 thanks to the far sightedness of my ex boss Stuart Cameron who first encouraged me to network with women who were empowering. I owe this opportunity to him and till date, I always make time to meet and learn from women of calibre and high intellect. One thing is clear…. The amazingly gorgeous Arab women of today are setting the stage to become inspiring leaders of tomorrow. Today I also heard a great talk by H. E Reem Al Hashimy who is a UAE Minister of State at the 20th World PR World Congress. Like her, Princess Ameerah is such an amazing example of an educated and incredibly eloquent, warm leader we all hope to see more of in the media and in forums around the world. Thanks david…although you do put me on a pedestal. Having said that, I always need the boost as positive comments like this can be very empowering & motivating and people do better when they are empowered in the right way.